I'm just about to get my first sensor readout to Home Assistant but something is wrong and I need your help. I now have Home Assistant running on Raspberry Pi 3 and an Arduino Uno acting as a serial gateway flashed with the example gateway sketch. And one sensor node on Pro Mini with DHT22 attached and flashed with the example DHT sketch. 2017-11-14 22:35:05 INFO (Thread-13) [mysensors] n:0 c:255 t:3 s:14 p:Gateway startup complete. 2017-11-14 22:45:27 INFO (Thread-13) [mysensors] n:0 c:255 t:3 s:14 p:Gateway startup complete. So what should I investigate next? Is there perhaps something missing from the example from https://www.mysensors.org/build/humidity ? In the example there is defined only child ID's not the node ID's. Shouldn't these come from the controller (HA) ? Thanks for your help, I hope you my explanations make sense. I managed to get the node to work by rebooting everything. Maybe the controller and gateway must be alive before the sensor send its presentation? I'm exited to start building my homeautomation now that I have all the connection working from end to end. The first task is to replace my room thermostats with intelligent ones but I think I'll continue it in a different topic. Yes, the controller and gateway needs to be running the first time your present a node and sensor. You also might want to look into the power supply and stability of your gateway, since it seemed to reboot when it sent the request for new presentation. @martinhjelmare The gateway (Uno) is powered from the USB port of the RPi3 which runs Home Assistant. Should I use a external power supply? Yes, I would recommend that. From personal experience computer usb powered unos are unstable. Make sure you have a capacitor close to the radio, as recommended in the radio guide on the mysensors site, too. @martinhjelmare ok, I'll get a proper power supply. I have a capasitor welded to the radio module. The gateway has the model with the stick antenna. I have tried how far the demo sensor node works (it has the std module with the antenna on the PCB) and it works anywhere in my 3 story house. But when I moved it to a building next to my house it didn't work. The distance was maybe 40m. Should I experiment with the setting #define MY_RF24_PA_LEVEL ? What does this require from the HW? Is it a PA LNA version? You can of course try pa level max. It might help. As @gohan said, the pa/lna version would also help in this situation. You can also try directional antenna yagi to maximise power in the direction you want it to go (fairly cheap on ebay). What is between the buildings? 40m of free space? Also think about using the 5V power from the uno and going via a buck converter (or any linear or switching voltage regulator) down to 3.3v - the arduino 3.3v supply is notorious for being 'noisy'.. Yes the gateway has the PA LNA version. I guess it's ok to mix these? I'm planning to maybe place a couple of nodes to the outside wall of my house so maybe using these as repeaters might solve the problem..
At the moment I only have one PA LNA version but I'm about to place an order this weekend. Wiht two of these and 2 pa/lna boards you should get many km in open space!!! My intention was for @minsa to use this only for the long range link, the receiving pro=mini could be a gw for the garage sensor(s). Everything else would remian the same. @skywatch So I would have 2 gateways? One for indoor sensors and one for outdoor sensors? 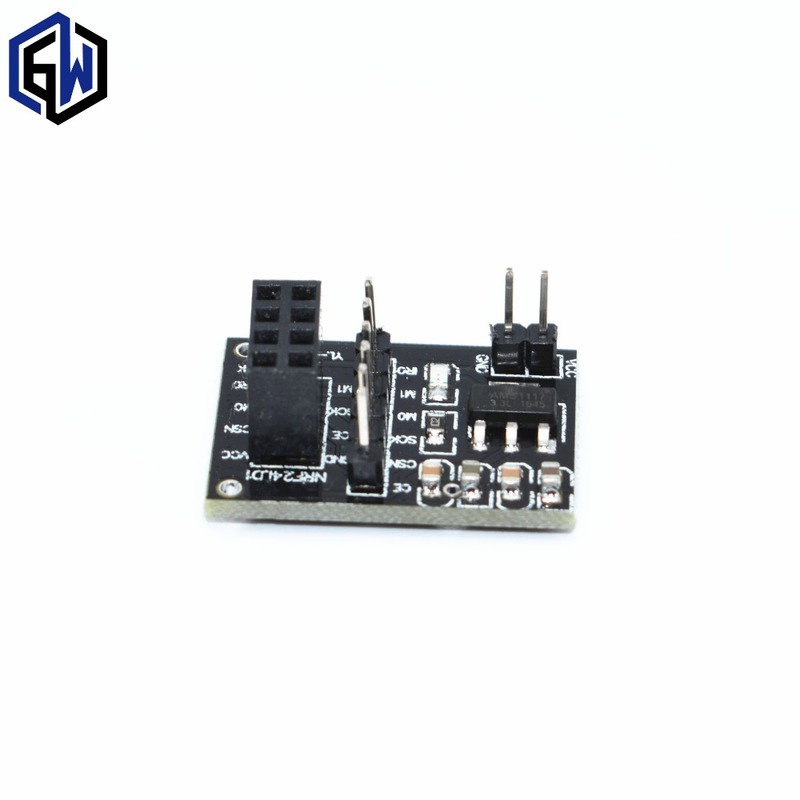 Would it be possible to have NRF24 and RFM69 chips on the same gateway? So I could use the RFM69 with nodes that are farther away? Adding a gateway means that your current system stays the same and is not changed in any way - so you have time to experiment with the new additions. I have never used rfm69 so can't say on those, sorry. I will say that you probably can't have 2 radios on one gw. But it might be possible. With MyController you can have multiple gateways for the controller and that is what you will need. As per above, I would just add another pro mini to act as a second gw for the longer range testing as that will not impact on your current setup. e 2 radios on one gw. But it might be possible. At least by now, one can only use one transport layer per Node/Gateway. @gohan ok but at the moment the gateway runs on Arduino Uno. So I have to switch to RasPi? Or can I buy another Uno and use RFM69 with it? But does Home Assistant support multiple MySensors gateways?